1. A burning desire for much better brake feel and stopping confidence . 5. At least a quart of new brake fluid . First, you'll need to remove the front wheel so you can attach to new rotor. Mine had a little black block-off plate that had some really short screws holding it on. 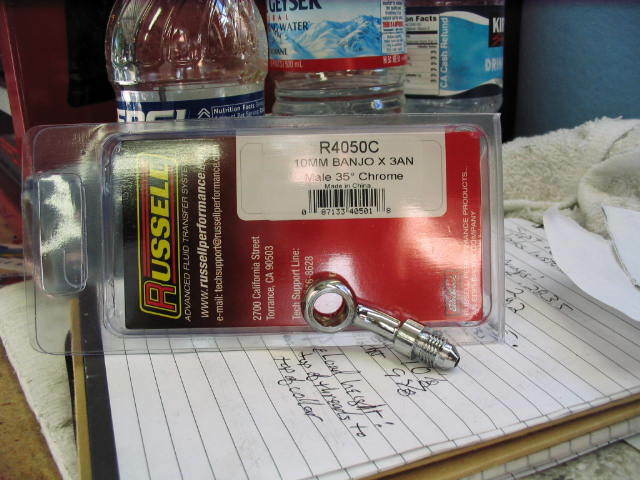 I used longer ones for the rotor screws. Now, put the wheel back on. 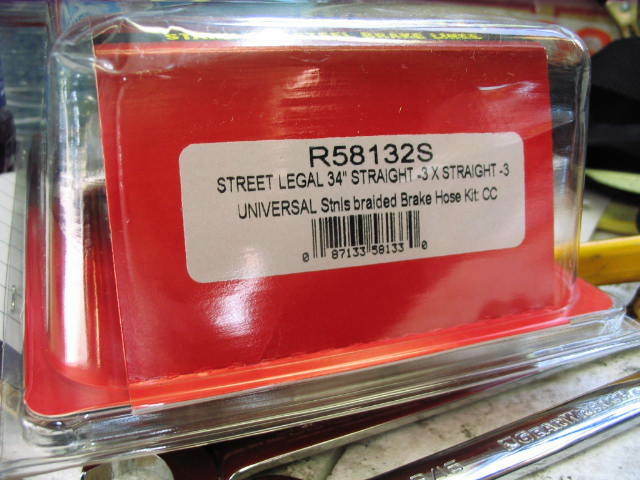 Don't forget to bounce the front suspension a couple of times before you tighten up the right-side pinch bolts. I used a 32-inch and a 34-inch for mine because I have Pro-Taper bars on my Jackal. 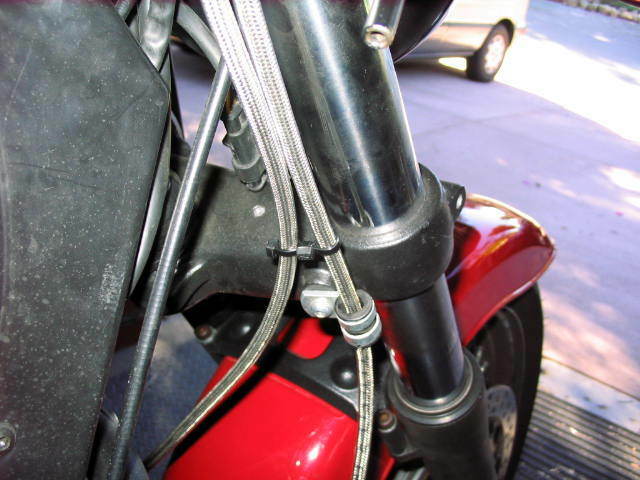 If you are using the stock Jackal bars, you will probably need a 34-inch and a 36-inch hose. Measure your stock hose and get one that length and one more two inches longer for the left side. If you are doing this on a Stone with a single left caliper, you'll need a hose for the right side that is two inches shorter than your stock one. 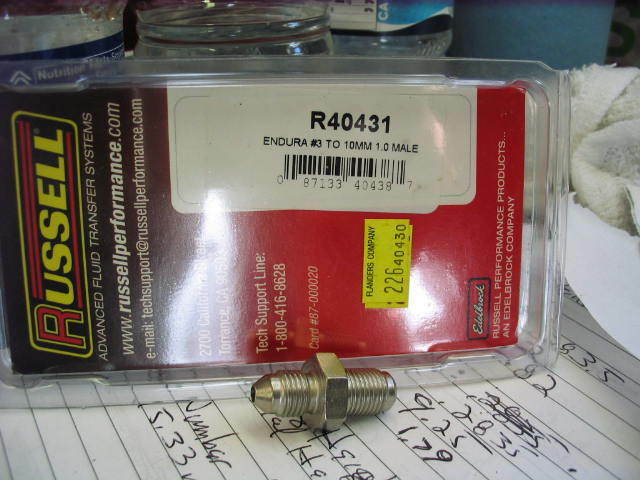 Check out this groovy little zip tie hose spacer HERE - I got this tip from Richard Rodriguez. Thanks, Richard. After you get it all together, you'll need to bleed the brakes. 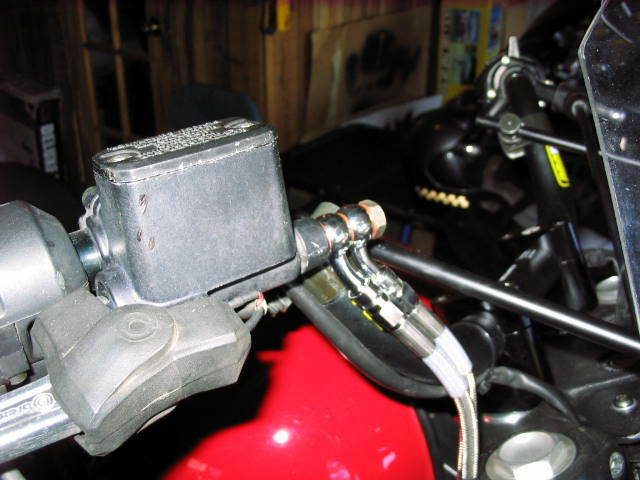 This will be a lot easier if you have access to either a pressure bleeder or a vacuum bleeder because there's nothing but air in the lines, master cylinder, and calipers to start with, and pumping it all full of brake fluid with the brake lever will take quite a while. It is possible to do it this way, but it goes a lot faster with one of those little vacuum pump kits from your local Auto Parts stores. Even after I got all of the air out, I let the bike sit overnight with a small bungee cord holding the front brake lever in. The lever was solid the next morning. 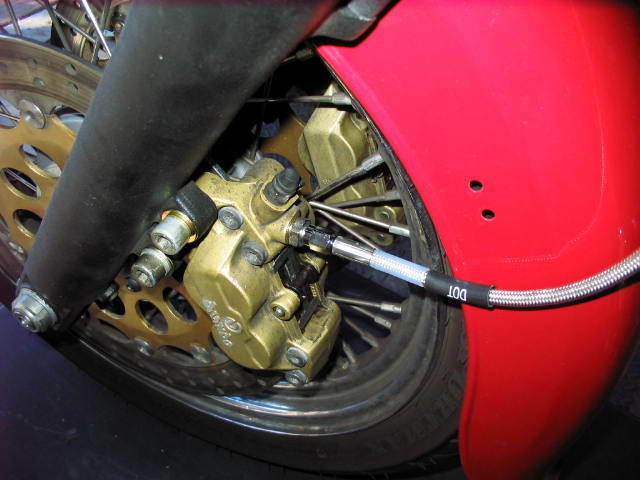 I was able to locate a pair of calipers and the master cylinder off of a mid-to-late 90's Ducati 900SS. They have the same 40mm caliper bolt spacing as my Jackal. If you don't mind spending a bit more $$ to do this, all of the necessary Brembo bits are available from guzzipower, who are now Brembo dealers. The advantage to doing this with all new parts is that it takes a lot less time because the used ones likely require some amount of attention to get them into workable condition. Mine certainly did. Oh, and definitely go with new pads. 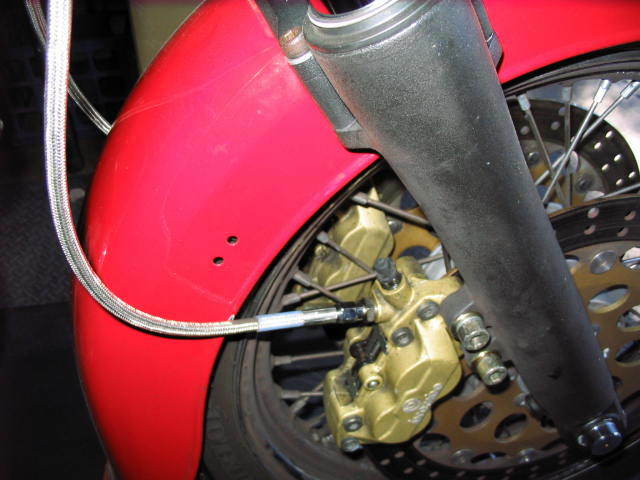 The results are that now a two-finger squeeze on the front brake lever produces some SERIOUS retardation of the motorcycle compared to the previous single-disc setup. Plus, this retardation is available each and every time you want/need it because the brakes don't fade now like they used to. All-in-all, this is a really big improvement in the riding experience on my bike. I'll bet it will be on yours, too. Ride safe and WEAR YOUR GEAR! !